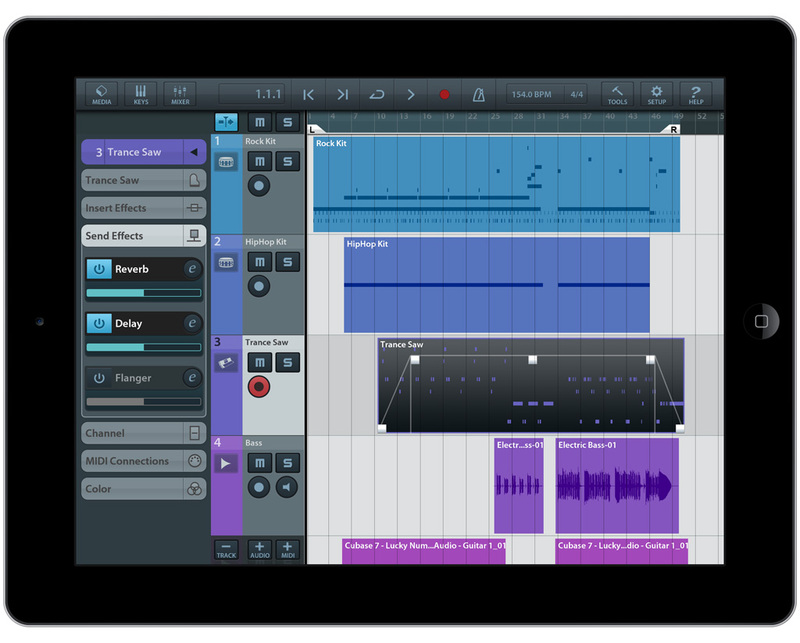 Cubasis App, Workstation, DAW or sequencer for iPhone / iPod Touch / iPad from Steinberg. Product replaced by the Steinberg Cubasis 2 App. Even at its relatively young age, the iPad has already placed itself at the head of an extensive audio software library, running sequencers that are far more than simple toys. The latest arrival in this category, Cubasis from Steinberg, is not without its limitations, but has enough qualities to ensure its rightful place on the podium. See the following detailed review. dreumeur31's review (This content has been automatically translated from French)" Very good DAW for iPad!" After going to Garage Band Music Studio and Meteor, I finally found a reliable sequencer I needed. The price initially made me hesitate but I already knew Cubase having worked there since the Atari, too, when he presented a price drop of over 30%, I did not hesitate a second to turn to the sequencer which I had already informed spooled users. For now I am very satisfied with the use that I do, my bet is to record an entire album on this sequencer, and it goes very well for now, with the help of some sound modules Additional (the SessionBand, Drum Jam, NanoLog, Alchimy ...) and essential Audiobus! I eagerly awaits mastering with Master Tracks I just bought. I also appreciate that in this price audio plug-ins and various effects are included, which is not the case Auria which is very expensive by adding plug-ins. 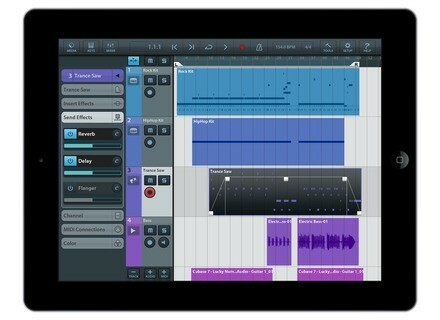 Anyway, I say bravo to this port on the iPad, this sequencer Cubase which was so hard to leave! Bonus: You also have the ability to export your entire project (song), by Zip in Dropbox for example, and you open it on your Cubase Studio on your Mac or PC! Note: However, remember to firmness unnecessary apps in the background and avoid going beyond 16 bits.